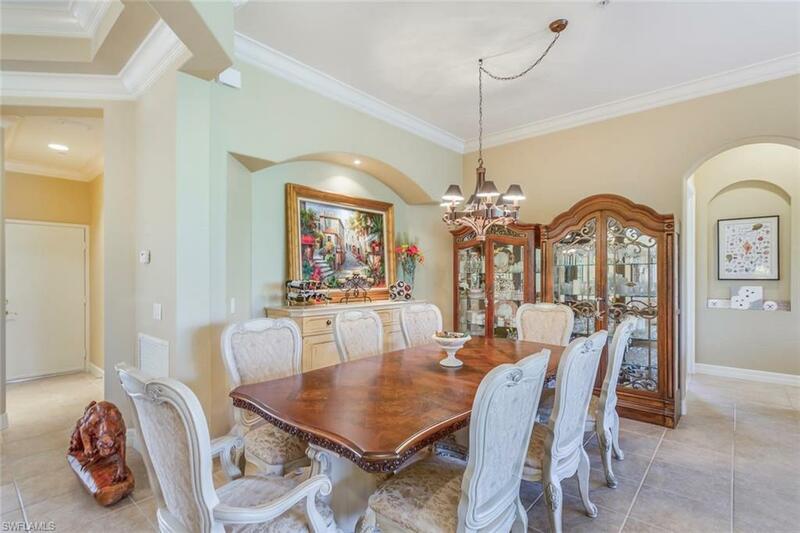 LOWEST PRICED ACTIVE LISTING BY FAR AT THE PORTA VECCHIO IN MEDITERRA!!!!! .Come Relax in your Private Sanctuary!! You can feel and see the pride of ownership in this Elegant First floor unit. 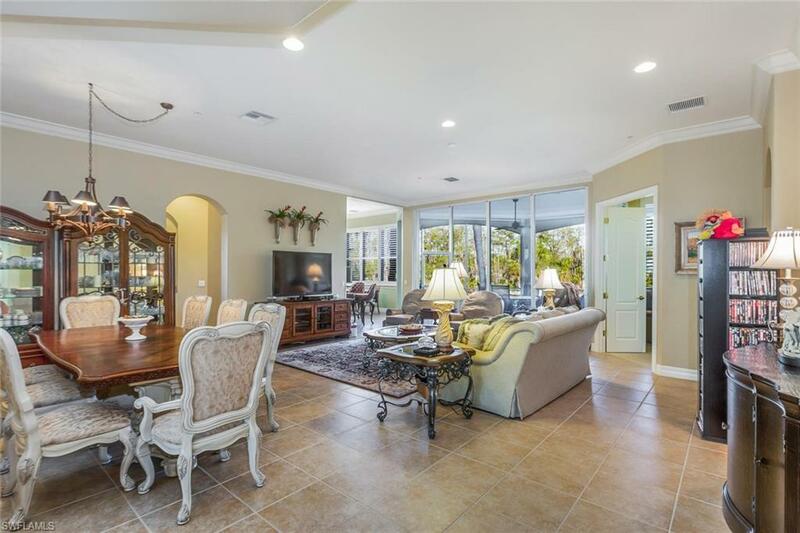 The Grand foyer leads to the spacious great room boasting expansive windows and stacking slider doors for relaxing views overlooking the privacy of the natural preserve. Enjoy the safety of ELECTRIC HURRICANE SCREENS for the back SCREENED LANAI. 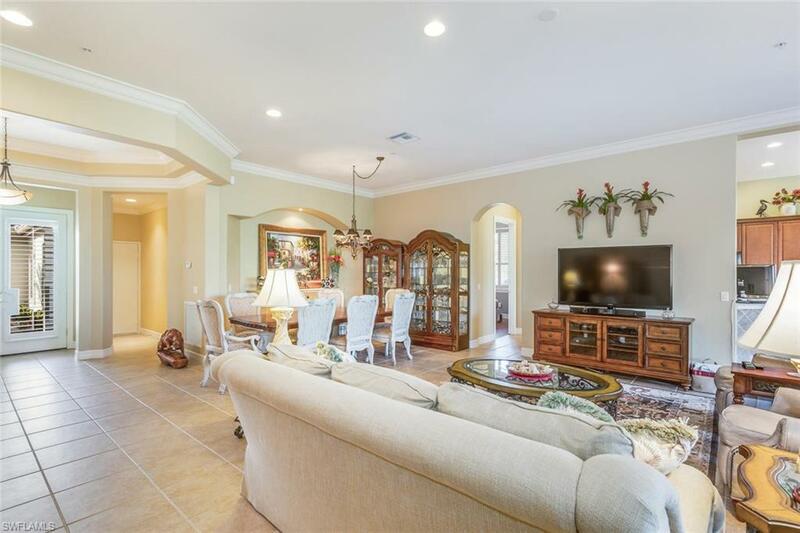 This THREE bedroom plus DEN home has TILE throughout the main living areas, WOOD flooring in the master and guestrooms bedrooms, and carpet in the Den. 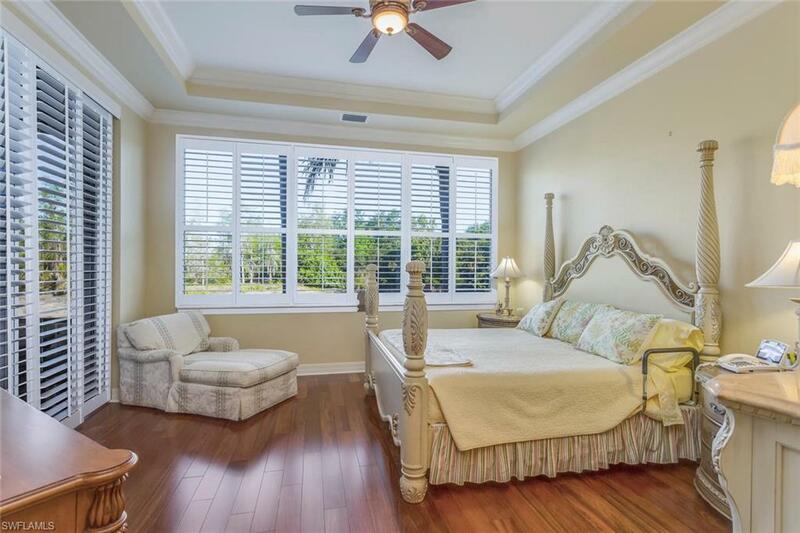 ELEGANT CUSTOM MADE WHITE WOOD PLANTATION SHUTTERS, arched passageways and volume ceilings with CROWN MOLDING throughout. The open kitchen and adjacent breakfast nook feature upgraded granite, stone back-splash with granite counter tops and rich wood cabinetry. Security System w/ Motion sensors. Upgraded Epoxy Garage Floor. Relax in the Tropical Community Heated Pool and Spa, or take advantage of the private Golf and Sports Membership featuring Two Tom Fazio Golf courses, fitness center, 8 Har-Tru sub-surface irrigated clay tennis courts ,3 har-tru bocce courts, pickelball and private beach club. Listing courtesy of Mandy Jean Navarro of Keller Williams Realty Fort My.